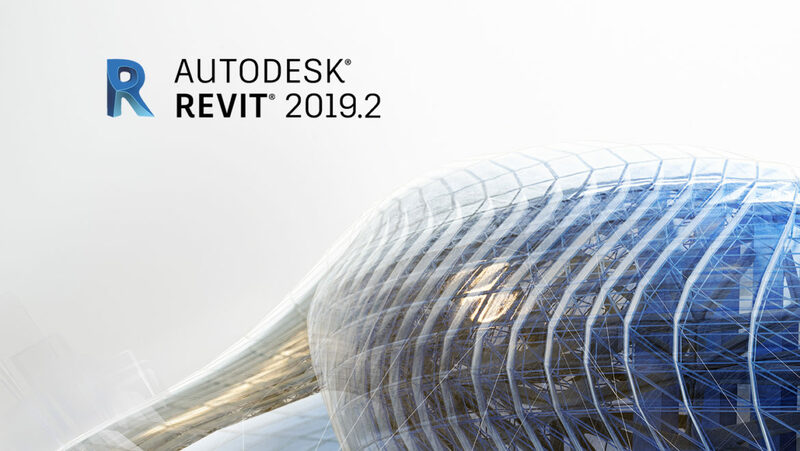 Last week, the Revit product team announced the release of Revit 2019.2. This update included big news for BIM 360 users like you who upload your Revit models to the BIM 360 platform, whether for individual use or when collaborating with multidiscipline teams. Two new features in the release create deep, connected workflows between Revit and BIM 360 to help integrate and coordinate your work in Revit. Let’s dive in! You probably know about BIM 360 Design, the Autodesk collaboration software that helps teams save time and co-author Revit models in real-time (or “workshare” in Revit term) from anywhere, because it’s based in the cloud. For the first time ever, with the 2019.2 release, Revit enables individual users to store non-workshared Revit models in the BIM 360 platform in a format (as a cloud model) that’s optimized for cloud storage, single-use editing, and syncing other files and links with Autodesk Desktop Connector. By enabling users, including those who use Revit LT, to bring their non-workshared Revit models into the BIM 360 platform, the “Cloud Models for Revit” feature allows them to collaborate with firms that use Revit Cloud Worksharing via BIM 360 Design. An important note is that “Cloud Models” is a general term we use to describe cloud-optimized Revit models in BIM 360. Unlike desktop files, which haven’t changed too much since the 60s, cloud models are divided up into cloud service-consumable chunks stored in a database. This means that data can be much more efficiently transferred back and forth between the cloud and Revit. Non-workshared cloud models for Revit (newly introduced as “Cloud Models for Revit”). RVT files that were uploaded directly into the Document Management module in BIM 360 or via Autodesk Desktop Connector. These are your traditional Revit files that have been copied to a cloud location. Using these as central files via Desktop Connector is not supported, and while it’s possible to work in one if it is not workshared, it won’t give you the same optimized experience as a cloud model. If you don’t workshare in Revit with other collaborators, Cloud Models for Revit is for you. Simply hit the “Save as” button, choose “Cloud Model” from the options, then select the “Project Files” folder in BIM 360 Document Management where you would like to save the model. Don’t forget to save your work to the cloud. Use Autodesk Desktop Connector to sync, access, and manage links to other file types, like .DWGs, in your Revit model. PRO TIP: Subscribers of BIM 360 Design can easily turn a non-workshared cloud model into a workshared cloud model with just one click. You can pass on your Revit work to another firm for them to further iterate on in BIM 360 Design. You can also link a non-workshared cloud model to another workshared or non-workshared cloud model. If you’ve tried to update an existing project from an older version of Revit to the latest release, you know how incredibly frustrating this gets. From the time it takes to download each linked model as well as the central model, to upgrading each of these in addition to their references, to uploading the upgraded files to a new project, then inviting all old collaborators to the new project. It’s a meticulous process that requires a lot of time. You can upgrade project models to later versions of Revit available in the feature. For now, this means you can upgrade cloud models (workshared and non workshared) from Revit 2018 to Revit 2019 stored in BIM 360 Document Management module. This preview can be accessed and initiated by BIM 360 admins in the Project Admin module. In the module, navigate to Document Management > Services > Revit Cloud Model Upgrade. Learn more on the Help pages here. Please note: this process does not upgrade RVT files that were uploaded directly into the Document Management module. Also, this preview is governed by beta terms. PRO TIP: Attempt to upgrade your project models overnight or over a weekend. You should always backup your model before upgrading as a best practice. We are always working hard to improve your experience in both Revit and BIM 360. Post your ideas to the Revit Ideas or BIM 360 Ideas forums, we want to hear what you think! Read more on the 2019.2 release on the Revit blog. Sasha Crotty is the Revit Platform & Services Product Manager at Autodesk. She is responsible for the direction and evolution of Revit's multi-disciplinary tools, Revit Cloud Worksharing (part of BIM 360 Design), and Revit-based Forge services. Sasha holds a BA in Architecture and a BS in Electrical Engineering and Computer Science from the University of California, Berkeley, as well as an MBA from Boston University. In her spare time Sasha enjoys growing miniature orchids and traveling around the world.